For the last two years I have been following up a Cyprus group on the internet ‘The Frozen Memories of Cypriots’ and I saw people from all over the world contributing photos, newspaper clips, stories and information on common friends and family bonds; it made me smile, however, it is a platform worthwhile continuing as here in the North they are only starting to archive the important information of the past. It is my strong belief that in order to understand our today we need to know all about our past. 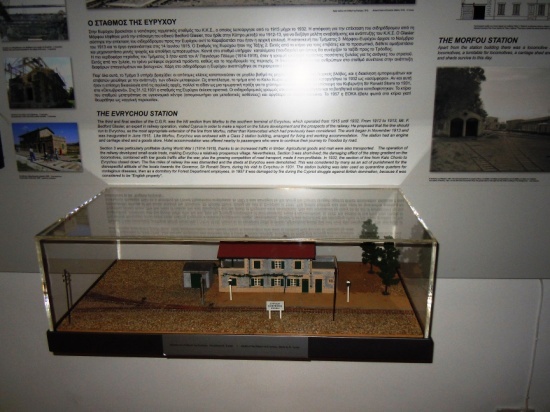 Only recently I saw our friends from this group contributing photos on the various Cyprus Railway Stations and gave voice to the hope that there would soon be a small museum in the still existing buildings. 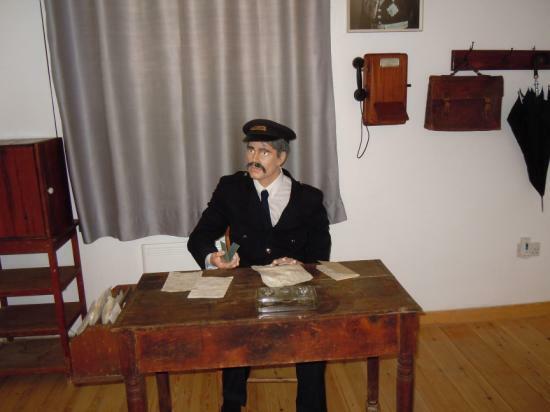 Now we had heard that the Railway Museum at the one end of the line, i.e. in Evrykhou was opened and we decided to go there. 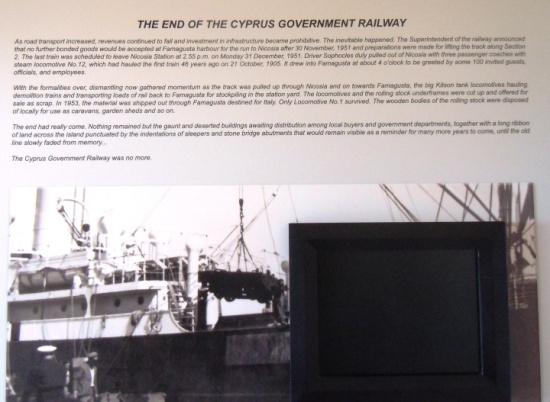 In 2012 I had already published an article on the history of the Cyprus Railway which I would like to repeat hereafter; you will find the photos when clicking on the website link. We took the road via Güzelyurt, living close to Lapta/Lapitos; it was a wonderful early spring morning and there was hardly any traffic, also across the checkpoint near Güzelyurt. Heading south towards Kakopetria we entered Evrykhou in the foothills of the Trodoos Mountains and found the small station nicely renovated and established as a museum. From here to the other end of the island rails were laid to Famagusta, of which you can see no more except a draisine outside the building. 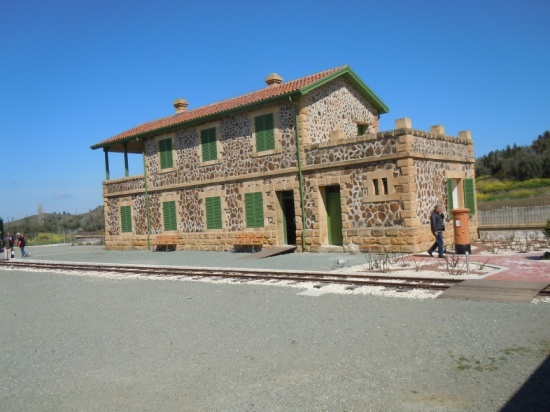 Hopefully, the railway station in Famagusta will also be given the status of a museum. 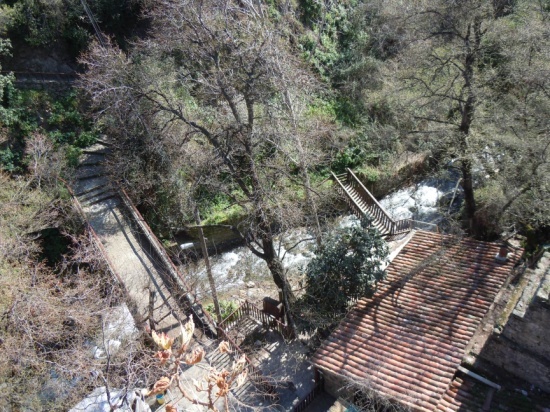 We finished the day off in the lovely mountain village of Kakopetria which is only 12 min away and had lunch in The Mill from where you can look across the little river which was carrying lots of water to the old village. You may think I am getting nostalgic, with my last article, only recently published, on the good old days…the good old ways…and now this. It is may be a sign of getting older that you start thinking of all the efforts so many people before us made in the full belief that it was for the good of the country and then, after one century, nobody even remembers the persons who developed the things which one day were revolutionary. I must confess that I still stand in wonder how an airplane, a huge mass of metal and electronics, can get up into the air and stay there until it reaches another certain point on the globe. We take everything for granted, too easily for my taste. 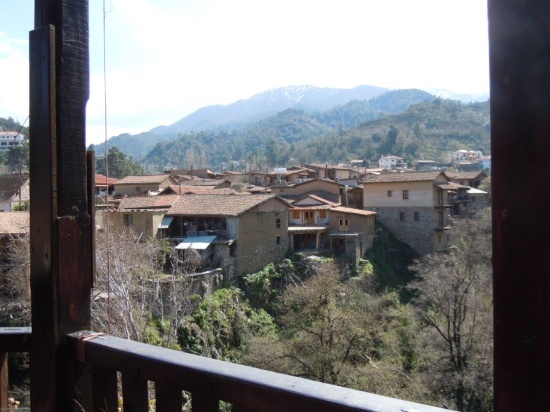 I had these thoughts while on a bus from Kyrenia to Famagusta, driving slowly through the Mesaoria with its villages here and there, and it came to my mind that we were practically going along the old railway tracks, or actually on top of them. There is no sign of them today, except that at some halts or sidings old Diesel locos, mostly Baldwins, are put up as monuments in a park, there is even one wagon on the left hand side of the highway from Kyrenia to Nicosia. Occasionally I meet with people who remember, people who have lived in those days along the railway line, or their fathers again were involved with the business, or there are memories written down that have been handed on to children, or photos found in an old album, or railway engineers, railway personnel corresponding with each other around the world. Morsels. One day I read a message of a CMC (Cyprus Mining Corporation) employee who now lives in Canada and read in the internet of somebody he knew from Cyprus and the CMC in those days. Such moments incite my curiosity, incite my imagination to see and learn how the place I have lived in for many years one day looked like, how did people move around in those days. But first some facts about the railway itself. 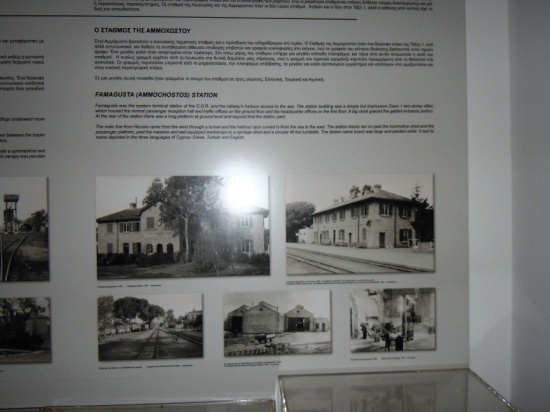 A plan by the British to build the tracks had been approved in November 1903; the first part with 58 km Famagusta-Nicosia was opened in 1905; two years later the next 39 km were operational from Nicosia to Güzelyurt and in 1915 the third part from Güzelyurt to Evrykhou were inaugurated. The CGR trains carried mail, timber from the Trodoos mountains; there were the mines in the west of the island and traffic of goods and tools had to go to and fro; soldiers in the two world wars and poor Jewish detainees to their camps; overall, the CGR carried 3,199,934 tons of commercial goods and freight and 7,348,643 passengers, I learn from some statistics. 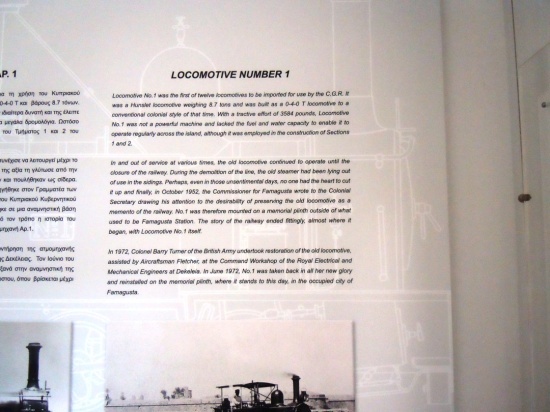 There were 12 locomotives, 17 coaches and 100 multipurpose wagons. Unfortunately the CGR, that is how the railway company was called, operated at a loss, especially, as the automobile industry wanted to break open the market, and so in 1953, the whole dream was dismantled and sold, some of the wagons were acquired by individuals, I imagine as guest houses in their gardens. 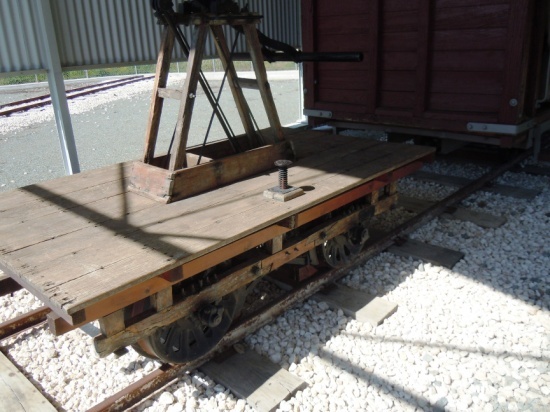 However, I was told by friends, Cypriot people were not often using the train facilities; they usually stayed in their own surroundings and did not really travel a lot; the personnel working for the mine companies used the train. The farmers supplied their goods to nearby markets by donkey carts or riding with baskets on both sides of the animal; cities and villages got their supplies from nearby farms; thus, far distance transportation was not really needed. Lawrence Durrell speaks of camels used for transportation in the 50s but hardly anyone I spoke to remembers to have encountered them in their time. Most people produced their own daily needs themselves; they baked their bread and made cheese, they grew vegetables and had a hen house, perhaps had their own sheep and bees for honey. The rest they found in nature, such as mushrooms and herbs, asparagus and leafy greens. Children who had to go to secondary school or lycee lived with relatives or in the school boarding house. Families who were better off, had a carriage drawn by either a horse or a mule. Nearly all families owned a donkey and/or bicycles. Yes, one of my friends said, bicycle was the most commonly used means of transport. Another artist friend told me that as a child he sold flowers to the ladies in the train wagons to make some pocket money. So there must have been tourists and British colonial people using the train to see the touristic attractions of the island. Later, busses took over public transportation; what beauties they had in last century; today many of them are still being used for special events, film shootings and weddings. In the North as well as in the South there are classic car and sports clubs which can be found in the internet. There were occasional private cars but that is not what I am looking for. Motorbikes? I was doing an interview with Arman Ratip who showed me a photo of his parents riding a motor bike! Very modern sporty young people! Today, the public transport means include ‘dolmus’ for near distance places and combo cars, long six-door-vehicles; bigger sized busses for long distance rides. I use the public bus often, especially when I have to go to Famagusta; it is so relaxing and much cheaper. It gives you room to think and form ideas such as this text you have just been reading and it gives you the time to look closely at the landscape travelling by.